The various treatments for "Viking disease" are coming under closer scrutiny. 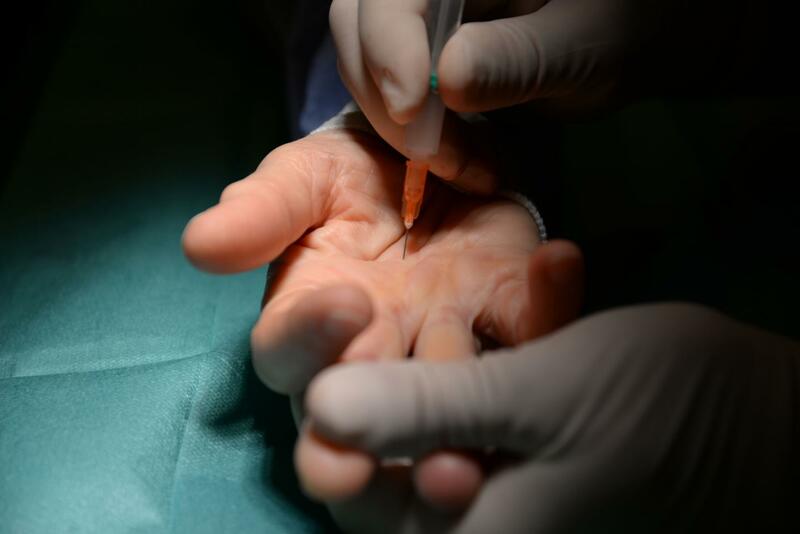 Research shows that crooked fingers can be straightened just as well with needle release as with the substantially more expensive commonly used drug. "Whether or not the general Swedish healthcare system should subsidize drug treatment should definitely be called into question," says Dr. Joakim Stromberg, an orthopaedic and hand surgeon at Sahlgrenska University Hospital who holds a PhD from Sahlgrenska Academy, Sweden. Dupuytren's contracture, which has been referred to as "Viking disease", is a common ailment that affects about ten percent of men and two percent of women in the Nordic countries. The disease is most common among individuals older than 60. In this condition, a cord consisting of pathological connective tissue forms on the palmar side of the finger, which over time can prevent the finger from being straightened. The pinky and ring fingers are most commonly affected, often in both hands. In addition to age, the disease can also be linked to factors such as heredity and diabetes. For his thesis, Joakim Stromberg studied 156 patients who were treated either with Xiapex, an injectable fluid that dissolves the collagen to break down the cord, or by needle fasciotomy, a minimally invasive procedure carried out under local anesthesia in which a needle is used to disrupt the cord. Follow-up at six months, one year and two years showed no significant differences between the two groups, with the exception that those who received Xiapex had more pain at the one-year recheck. The price of a dose of Xiapex is about SEK 6,500, while the material for a needle fasciotomy costs SEK 150. It should also be mentioned that when Xiapex became available in the early 2010s, it was half as expensive as the standard open surgery treatment of that time. In addition, a patient could be treated multiple times with Xiapex or needle fasciotomy, which would have been substantially more difficult using open surgery. The disease often recurs and needs to be treated again, which increases the importance of interventions that can be repeated. This is yet another reason to use the more modern needle release procedure, according to Joakim Stromberg. "In my opinion, there has been excessive faith in the ability of this drug to break down the cord better than surgery, while in many places alternative solutions have been forgotten or never even considered. The needle release is not at all as troublesome for patients. This extremely simple method does not produce as much pain afterwards, nor does it require any specific rehabilitation," says Joakim Stromberg.